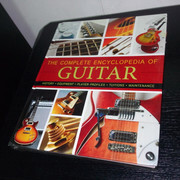 This is the ultimate gift for guitar lovers, be they Folkies, Rockers, Blues Lovers, Jazz Aficionados, Rhythm & Blues, or Soul music fans and also everyone whoever learned to play a guitar or wants to. 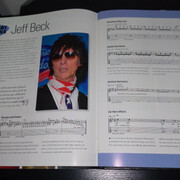 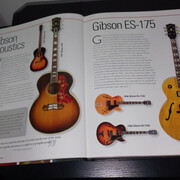 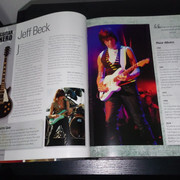 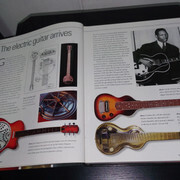 This book offers a complete visual history of the guitar including; how to choose a guitar & amp, acoustic vs. electric, profiles of guitar heroes , and even a section called Learn to Play Like... which offers tips and arrangements from Duane Allman through Neil Young with 25 other classic artists in between. 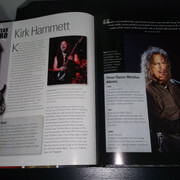 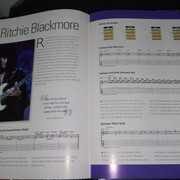 Here s the bottom line: If you have a guitar, if you know someone who has a guitar, if you love guitar music you need this book. 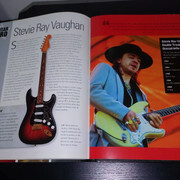 This is the ultimate gift for guitar lovers, be they Folkies, Rockers, Blues Lovers, Jazz Aficionados, Rhythm & Blues, or Soul music fans and also everyone whoever learned to play a guitar or wants to. 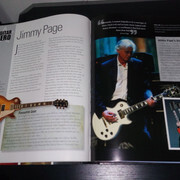 This book offers a complete visual history of the guitar including; how to choose a guitar & amp, acoustic vs. electric, profiles of guitar heroes , and even a section called Learn to Play Like... which offers tips and arrangements from Duane Allman through Neil Young with 25 other classic artists in between. 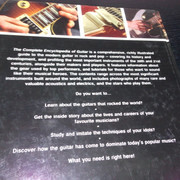 Here s the bottom line: If you have a guitar, if you know someone who has a guitar, if you love guitar music you need this book. 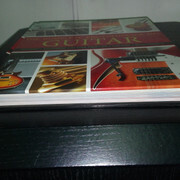 Hardcover, jacketed, 256 pages of beautiful full color photographs of guitars, artists, musical arrangements and more Nearly 50 musicians profiled including; Ry Cooder, Kurt Cobain, Eric Clapton, George Harrison, Jimi Hendrix, Keith Richards, John McLaughlin and many more Covers the History of the instrument, how to select the perfect guitar, how to set up whammy boards, build Pedal boards, cleaning t your guitar, and much more.